Before creating our book “Oh! 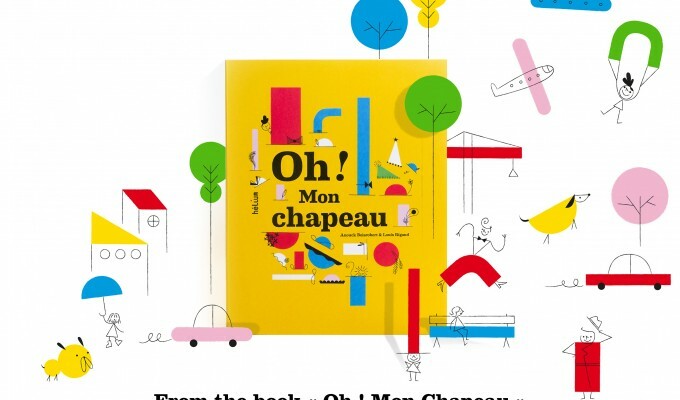 Mon chapeau”, we had the idea of the app “Oh!”, the idea that with a few shapes you can create a whole story. 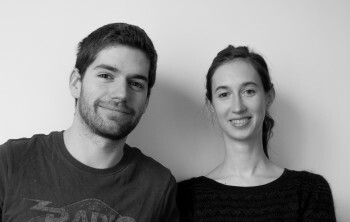 Once the book was published, we start working on the app. 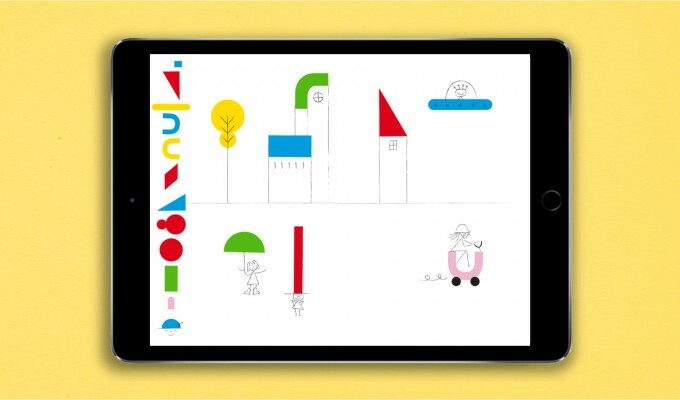 We wanted to offer a new way of creating a picture using the interactions of the tablet. As in the book, the graphic design is based on a defined range of shapes and colors. Through our projects, we always try to develop kid’s imagination. With this app, every kid can create a picture and imagine his own story. By manipulating the tablet, they can also discover how a simple image can be turned upside down and as by magic, turn into a new idea. 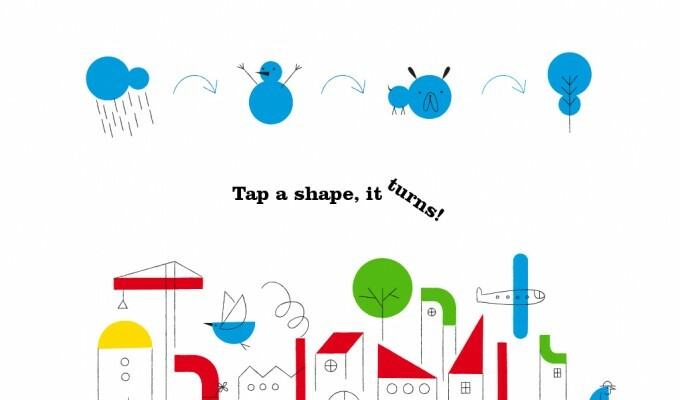 This is an app that triggers your imagination, by imagining how basic shapes like 〇▽□ can tell a story. I was surprised when the picture changed magically when tilting the screen 90°. Because the shapes are so basic, you can imagine into various shapes. There is no other app that teach you how exciting imagination is. In the next edition, it would be exciting if children can choose the shape each, and make that into a character or background to make a story.